GOT A MOBILE APP IDEA? LET’S TALK! 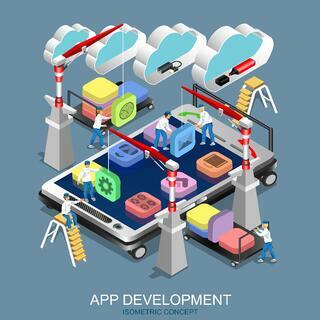 WE HAVE MOBILE APP DEVELOPERS WITHIN OUR team WHO ENGINEER YOUR COMPANIES IDEAS TO LIFE. Get a full-service mobile app development team at your finger tips. Our in-house team handles the entire life cycle of your mobile app product: from Product Planning and Strategy, User-Centric Design, App Development, Quality Assurance/User Testing, and Delivery. We follow a unique agile development process that gives you control over the scope of work, significantly reducing your risk, and provide you with a quick turn around.